Byron Bay accommodation options include Byron Bay Holiday Houses, Apartments and Studios, Hotesl/Motels/Resorts, B&B/Guesthouses, Budget/Backpackers and you can select these in a number of ways. To book online, enter the dates in the search box on the left and select the accommodation type. You can book online using your credit card or call us 02 6680 8666 if you would like us to look for options for your Byron Bay holiday. Our office is open 7 days a week. Byron Bay has plenty of options that offer high quality affordable accommodation for a comfortable and pleasant stay, enjoying the luxuries of your own home. Whether you’re looking for a romantic paradise, a fun-filled family trip or a leisure holiday with your mates, Byron Bay Accom has 200+ options to suit your requirement and your pocket! We cater to specialised requirements like couple’s romantic accommodation, budget accommodation for schoolies, pet friendly accommodation, family beach houses and much more! Budget and luxury apartments in Byron Bay are ideal for families and friends looking for something private. The space and convenience offered is similar to that of your own home along with added luxuries. Byron Bay apartments have bedrooms, living and dining rooms and an equipped kitchen which means you can save money on meals. 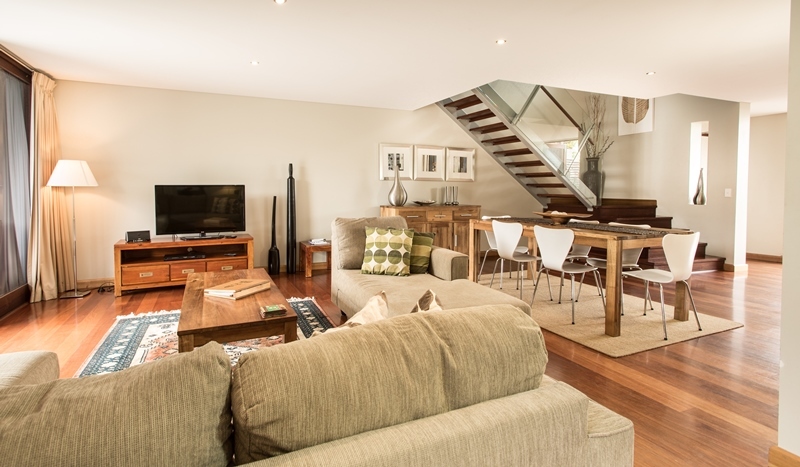 Byron Bay studios have less space, designed to accommodate couples and small families. 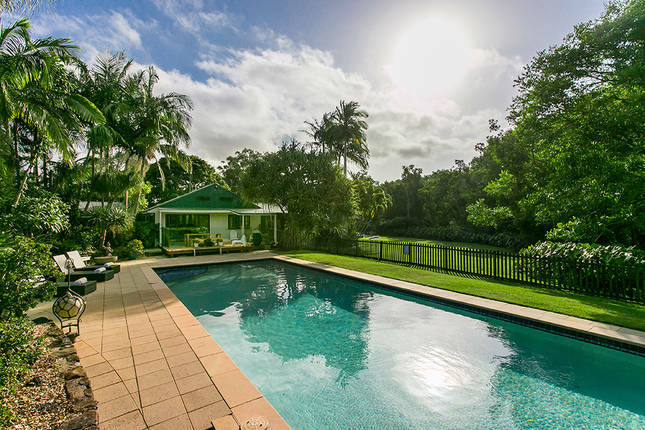 If you’re seeking the comfort of a whole house on your holiday, then Byron Bay has a wide range of luxury holiday houses for you to choose from. You may have the comfort of your own garden, swimming pool and in-house luxury amenities for a stress-free holiday with family and friends. What’s more? Some of these holiday houses are pet-friendly which means you can bring along your pets on your Byron Bay holiday. Byron Bay has absolute beach front properties with basic and luxury amenities to suit your budget. A beach house is ideally suitable for large families and groups seeking to relax on sparkling white sands of pristine beaches of the Bay. There are beach houses with modern living features and beach houses with additional luxuries including a pool, gazebo, garden etc. Byron Bay has plenty of budget accommodation options for backpackers, families, friends and couples. You can find a perfect mix of fun and luxury at budget hotels, apartments, studios and guesthouses right in the heart of town. We have accommodation options close to the beach, best restaurants and main hubs in town that will suit every pocket. All you need to do is relax comfortably and make the most of your Byron Bay holiday. Byron Bay has an excellent range of mid-priced hotels, five star resorts and budget hotels catering to the requirements of modern travellers. The luxury resorts and boutique hotels have high standard of amenities featuring heated swimming pools, in-house spas, beachfront views etc. The budget hotels provide basic modern day living amenities with close proximity to Byron Bay’s top rated attractions. Holiday resorts in Byron Bay feature contemporary luxuries and excellent outdoor features such as a beachfront location, swimming pool, health club, spas and much more. Some of the resorts are perfect wedding destinations and can accommodate a large number of guests. Byron Bay also has unique resorts that have treetop houses, Mediterranean style rooms and luxury penthouses to cater to modern tastes of travellers. Guesthouses in Byron Bay are perfect for a cosy night of simplicity. 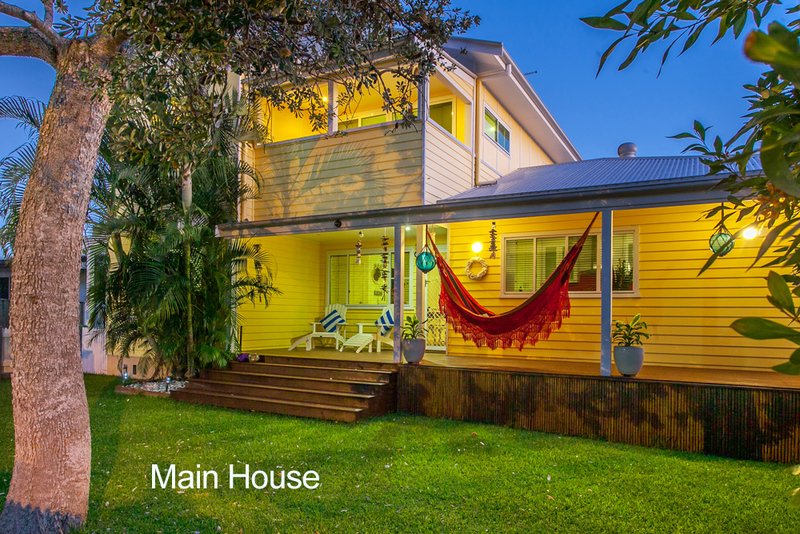 Byron Bay has plenty of guesthouses offering great value, located in the heart of town, close to the beach or amidst the natural beauty of the Bay. Byron Bay Guesthouses can be a purpose built luxury residence that caters for your every need or a 100 year old house which has styled each individual room with a contemporary flair to give you the flavour of Byron. Byron Bay has numerous bed and breakfast options, popularly known as B&B's that offer comfortable accommodation with daily breakfast. We have plenty of options for B&B’s no matter what location or standard you prefer. These value for money options are perfect if you’re planning to spend most of your time outdoors, indulging in the adventurous activities that the Bay offers. Have you made last minute travel plans to Byron Bay? Or just got your leaves approved from work and missed booking accommodation? In that case, you need not worry about overspending from your holiday budget. Byron Bay Accomm has plenty of last minute deals and holiday specials that will ensure you spend smartly on the best accommodation in Byron Bay. Byron Bay Accom has the largest range of holiday accommodation in Byron Bay, with over 200 options to choose from including apartments, holiday houses or beach houses, hotels, guesthouses or resorts, and budget accommodation. To book online, enter the dates in the search box and select the accommodation type. You can book online using your credit card or call us 02 6680 8666 if you would like us to look for options for your Byron Bay holiday. Our office is open 7 days a week. Our aim is to provide you with the best accommodation in Byron Bay so that you can spend your savings on a memorable holiday experience. Is the popular beach town of Byron Bay your next destination for a relaxing holiday beak? This stunning beach town nestled in the rolling greens of New South Wales is one of Australia's most popular destinations. The town offers you the delight of some of the prettiest and cleanest beaches on the east coast of Australia. The wide array of activities beyond the beach and lazing around in the sun will ensure that you’re well occupied throughout your holiday! You can surf some of the best waves in the world, explore the ocean’s rich heritage by scuba diving and snorkelling or sky-dive on the spectacular coastline from 14,000 ft above the ocean! Adrenaline junkies will love the enthralling experiences that Byron Bay offers with kayaking, fishing, mountain biking, gliding and hot air ballooning. Byron Bay is also known as a pampering and healing centre with exclusive spas, medicine retreats and spiritual healing centres. If you’re seeking a relaxing holiday in Byron Bay, contact us to find the perfect place to stay.